attention and service that they deserve. We provide our clients with tightly focused representation. Sweeney Law, P.A. is a Fort Lauderdale law firm providing personalized legal services to clients in Palm Beach, Broward and Miami-Dade counties in the areas of Business Law, Construction Law and Real Estate Law. Firm founder and principal attorney Brendan Sweeney has over 12 years of legal experience helping people solve their legal problems and providing the kind of advice and representation necessary to help them achieve their goals. Fort Lauderdale business lawyer Brendan Sweeney has large firm experience representing lenders, debt buyers, subprime lenders and banks. Now focused primarily on representing the consumer, small businessperson and homeowner, Sweeney Law, P.A. utilizes the keen insights gained from that experience to solve problems and develop creative solutions that will be acceptable to both sides to a dispute, while protecting his clients rights and at all times promoting their best interests. Sweeney Law, P.A. serves the tri-county area in the fields of business law, construction law and real estate law. With experience “on the other side” representing lenders, debt buyers and banks, attorney Brendan Sweeney brings valuable insight into the issues, strategies and tactics that go into the successful prosecution, defense and resolution of all of these matters. Further, by limiting our practice to these interrelated areas, our clients receive the maximum benefit of our firm’s knowledge, skills and experience. Our Fort Lauderdale business lawyer is by your side throughout the life of your business. We help startups and joint ventures from the very beginning by advising on the best options for entity formation (corporation, partnership, LLC), registering your new entity with the state, and drawing up all necessary bylaws, articles and operating agreements. We create company policies and agreements for employees, customers and vendors, and additionally represent you in negotiating, drafting or reviewing contracts for any business or commercial transaction. We provide strong, effective representation in litigation as well, including breach of contract suits, business torts, and Title III-ADA litigation. Our comprehensive construction law practice includes representing owners, developers, contractors and subcontractors in contract and document preparation and review, employment and labor law matters, Florida construction lien law issues, construction defect and construction accident claims, bidding, procurement, licensing, insurance or any other construction matter. For individuals and businesses alike, real estate transactions typically involve the single greatest financial investment they will make. Every piece of real property is unique, and you spend too much time, money and effort investing in a real estate transaction to have it fall apart due to some technical error, or to later find out you did not get the benefit you bargained for. Sweeney Law, P.A. represents buyers and sellers in residential and commercial purchase, sale and lease arrangements, including attention to mortgage, finance and title insurance issues. We also represent property owners, landlords and tenants, and HOA and condominium associations in the full range of real estate litigation, including title and boundary disputes, evictions and foreclosure. The consumer law practice at Sweeney Law, P.A. 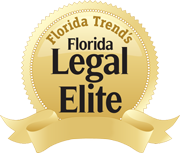 covers the entire spectrum of consumer fraud and consumer rights in Florida. We put a stop to harassing phone calls from telemarketers and robocalls, making full use of the Telephone Consumer Protection Act to enforce violations with penalties of up to $1,500 per violation. We also put an end to embarrassing, threatening and intimidating debt collection practices made unlawful by the Federal Debt Collection Practices Act and the Florida Consumer Collections Act. We can additionally help you fix errors on your credit report and collect money damages for harmful credit errors under the Fair Credit Reporting Act. Other major areas of our consumer law practice include identity theft, deceptive trade practices, lemon law and auto fraud, and student loan law. As a consumer lawyer, Brendan Sweeney is committed to helping individuals and families protect themselves from unscrupulous businesses which violate the very laws enacted to protect us. Sweeney Law, P.A. helps people take on telemarketers and companies that violate the Telephone Consumer Protection Act with unlawful telemarketing, robocalls and other harassing phone calls. If you continue to receive unwanted calls after placing your number with the Do Not Call Registry, Sweeney Law, P.A. can help you put a stop to those calls and recovery monetary compensation, up to $500 or even $1,500 for every unlawful call. In addition, our comprehensive consumer law practice helps people who have been taken advantage of in violation of a range of federal and Florida consumer protection laws. Call Sweeney Law, P.A. at 954-440-3993 to schedule a consultation with Fort Lauderdale business lawyer Brendan Sweeney on your business law, construction law or real estate matter. We promise efficient, focused legal services with personal attention, driven by a desire to obtain results. Weekend and evening meetings are available by appointment, and English, French and Spanish are all spoken in the office for your convenience. Call today. We look forward to meeting you, working with you, and providing exceptional service to help you meet your goals. While up to five percent of the lawyers in a state are named to Super Lawyers, no more than 2.5 percent are named to the Rising Stars list.